Voting is open through April 30th! 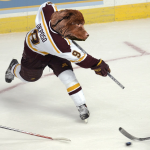 “Marge the Barge” — the story of a Newfoundland dog hockey player being taught to figure skate by a tabby cat. “Questor’s Gambit” — a Tri-Galactic Trek tale featuring Cmdr. Bill Wilker the Collie dog facing off with an omnipotent Cheshire cat named Questor. 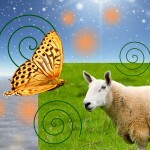 “Sheeperfly’s Lullaby” — a short, sweet fairy tale about a sheep and a butterfly. There are two more short stories on the ballot — “400 Rabbits” by Alice “Huskyteer” Dryden and “A Gentleman of Strength” by Dwale. 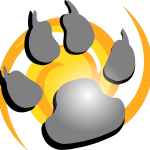 The Ursa Major Awards are open for voting through April 30th. Anyone can vote, and it only takes a minute. We really appreciate everyone who took the time to nominate these stories, and we hope that you’ll take the time to vote for your favorites! P.S. There are also some really strong anthologies on the ballot under Other Literary Works — Claw the Way to Victory (which originally published “Marge the Barge” and “A Gentleman of Strength), Gods with Fur (which originally published “Questor’s Gambit” and “400 Rabbits”), and ROAR Volume 7 (which was edited by our own Mary E. Lowd). So, if you took a moment to vote for your favorite anthologies, that would be great too!